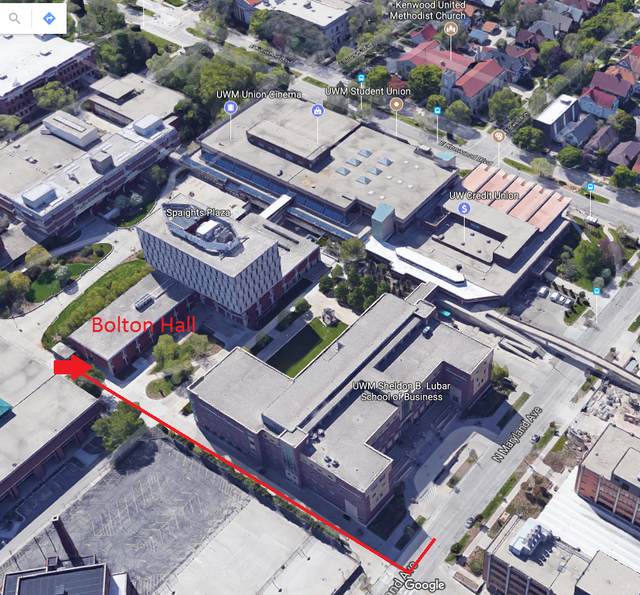 Our building is behind the UWM Student Union. Bolton Hall can be accessed through the Student Union by going up to 1st Floor and through double doors next to Flour Shop. We are in BOLTON HALL. Google Maps will only show you Lubar School of Business, we are next door! Our building is in the middle of campus not on a street.